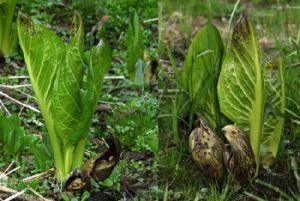 Eastern Skunk Cabbage – Known officially as Symplocarpus Foetidus, it is also called Clumpfoot Cabbage, Foetid Pothos, Meadow Cabbage, Polecat Weed, or Swamp Cabbage; but, is most commonly known as simply Skunk Cabbage. 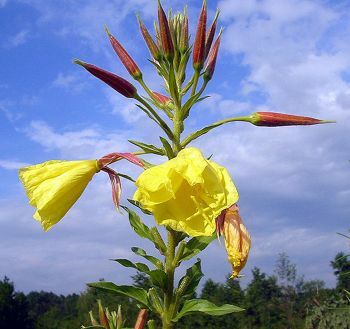 It is a low growing, foul smelling plant that prefers wetlands and can be found naturally in the eastern U.S. from Minnesota east and south to North Carolina and Tennessee. It was used extensively as a medicinal plant by the Winnebago and Dakota tribes to stimulate the removal of phlegm in asthma. It was also used as a seasoning and magical talisman by various tribes. From 1820 to 1882, it was used in pharmaceutical products as the drug “dracontium,” to treat respiratory diseases, nervous disorders, rheumatism, and dropsy. It should not be eaten raw because its roots are toxic and the leaves can burn the mouth. However, the leaves may be dried and used in soups and stews. Echinacea – A flowering plant in the daisy family, it is also referred to as purple coneflower, passion flower, and simply, coneflower. Growing in eastern and central North America in moist to dry prairies and open wooded areas, it was widely used by the Plains Indians to treat infection and wounds and for its general medicinal qualities. The plant was used by chewing on the root or in tea for internal problems or pulverizing it for external wounds. In addition to its use as a medical remedy, it was often used in rituals by the Omaha and Winnebago tribes; and the Cheyenne were known to have used the herb during their traditional Sun Dance ceremonies. Others throughout history have used echinacea to treat scarlet fever, syphilis, malaria, blood poisoning, diphtheria, tension, earache, cough, insomnia, toothaches, and snake and insect bites. Generally, it reportedly increases resistance to infection. It was very popular in the United States during the 18th and 19th centuries, but its use began to decline after the introduction of antibiotics. Today, the herb is used to reduce and shorten the duration of the common cold and flu, sore throat, and fever. Many herbalists also recommend it to help boost the immune system and help the body fight infection. Elder – Known officially as Sambucus, this species of tall shrubs and small trees are in the Honeysuckle family. Several species are native to North America and Europe, but the most commonly used among North American tribes is Sambucus Canadensis, or the Black Elderberry. 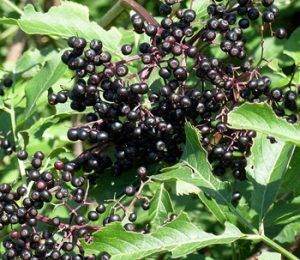 The ripening elderberries have long been used as both a food and in medicinal remedies. In food, the berries were used to produce syrup, with water in a fruit drink, and in alcoholic beverages and wine. Traditional herbal medicine utilized the berries and dried flowers in teas and tonics to treat constipation and flu. The Cherokee and Delaware made a tea from the dried flowers to sweat out toxins. The Seminole and Creek pounded the root to utilize as a topical treatment for swelling. The Houma Indians used the berries to make a tonic wine and other tribes, such as the Iroquois, Dakota, Omaha, and Ponca to make a refreshing summer fruit drink. The branches of the tree were often removed in the spring to produce hollow tubes that are used as flutes and whistles, arrow shafts, skewers and toys. However, this is discouraged today due to the possibility of cyanide poisoning. Unripened berries contain a toxic alkaloid and should not be used. The leaves, twigs, branches, seeds and roots also contain a cyanide agent, therefore, overindulgence should be avoided in order to not create a toxic build up of cyanide in the body. Eleuthero – Technically called Eleutherococcus Senticosus, this small, woody shrub is native to Northeastern Asia, southeastern Siberia and the Korean Peninsula; however, it has been adapted to grow in the the damp forests of British Columbia, Canada as well as the U.S. states of Washington, Oregon, and northern California. Also going by the common names of Siberian Ginseng, Devil’s Bush, Devil’s Shrub, Pepperbrush, Prickly Eleutherococcus, Touch-Me-Not, Wild Pepper, and more, its use in herbal medicine goes back to 190 A.D. when the Chinese began to use it. Over the years, its dried roots have been used to treat colds, flu, fatigue, and swelling; as well as in increasing concentration and focus, boosting the immune system, and increase endurance. People with medicated high blood pressure should consult their doctor before using. Do not take to close to bedtime, as it can cause insomnia. Eucalyptus – Native to Australia, there are than 700 species of these flowering trees and shrubs. Though many species are used for various purposes, Eucalyptus Globulus, also referred to as Tasmanian Blue Gum, Southern Blue Gum or Blue Gum, is one of mostly widely cultivated and utilized in herbal remedies. Over the years Eucalyptus oil distilled from the leaves has also been used for cleaning, deodorizing, and in very small quantities, in food supplements, such as sweets, cough drops, toothpaste and decongestants. It also has insect repellent properties. Topical ointments containing eucalyptus oil have been used in traditional Aboriginal medicines to heal wounds, fungal infection, reduce swelling, treat arthritis, and skin problems; while teas containing small amounts of leave were used to reduce fever, treat cough, colds, sore throats, bronchitis, and sinusitis. Sometimes, the vapors were utilized for the same purposes. Its uses soon spread throughout the world. Today, it is also used to treat diabetes, as an antiseptic, and continues to be found in many lozenges, cough syrups, rubs, and vapor baths throughout the United States and Europe. Fendler’s Bladderpod – Officially known as Lesquerella fendleri, this is a species of flowering plant in the mustard family known by several common names, including Yellowtop. It was used for a variety of purposes by Native Americans including the Hopi, who used the root to treat snakebite, as a gynecological aid after childbirth, and to induce vomiting. The Navajo and Kayenta tribes used a poultice of the roots which was applied to sore eyes. The Navajo also used it as a snuff to clear nasal passages, a poultice of crushed leaves for toothache, and to treat spider bites. Fennel was smoked by the Hopi Indians as a substitute for tobacco. Photo by Edward S. Curtis, 1907. Click for prints, downloads and products. Fennel – Formally known as Foeniculum Vulgare, this highly aromatic and flavorful herb has long been used in cooking and in medicinal remedies. Native to the shores of the Mediterranean, it later traveled to many parts of the world. It was first introduced to North America by Spanish missionaries for cultivation in their medicinal gardens, and was later brought by English settlers. In Puritan folk medicine fennel was taken as a digestive aid. The seeds, leaves, and roots of fennel are safe and edible; however, the essential oil, extracted from the seeds, can be toxic, even in small amounts. Over the years, it has been used as a digestive aid, remedy for flatulence, to promote appetite, and increase the flow of breast milk in nursing mothers. Teas and tonics of the seeds and leaves were used to ease stomach pains, treat colic in infants, for cough, colds, respiratory problems, and constipation. Externally poultices and washes were made for sore eyes. 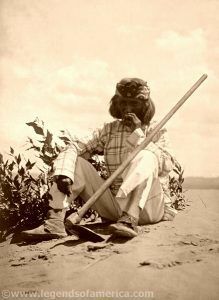 The Hopi tribe smoked the plant as a substitute for tobacco. Fenugreek – Officially called Trigonella Foenum-Graecum, this plant is native to the Mediterranean region, Ukraine, India, and China. Also known by the common names of Greek Hay Seed and Bird’s Foot, its leaves are used as an herb and its seed, often called methi, is utilized as a spice. In early times, dried fenugreek seeds were used medicinally in traditional Indian, Greek, and Arabian medicine. Ancient Egyptians used fenugreek to induce childbirth. It also has a history of use as a gastrointestinal remedy, a mild laxative, for dyspepsia, respiratory problems, loss of appetite,and stomach complaints. Externally, it was utilized topically to treat swelling, boils, wounds, and eczema. It has also been used as a mild antiseptic. Recent studies have also indicated effectiveness in lowering cholesterol and reducing glucose levels in people with diabetes. Feverfew – Technically called Tanacetum Parthenium, this traditional medicinal herb is a member of the sunflower family, and is occasionally grown for ornament. Native to Eurasia, cultivation has long since spread throughout the world. The word “feverfew” derives from the Latin febrifugia, meaning ” fever reducer,” and it has long been used for reducing fever, as well as treating headaches — especially migraines, arthritis and digestive problems. It has also been used to treat menstrual irregularities, labor difficulties, skin conditions, stomach aches, and asthma. Feverfew may alter the effects of some prescription and nonprescription medications and should not be used without first consulting your doctor. Long-term use followed by abrupt discontinuation may induce a withdrawal syndrome featuring rebound headaches and muscle and joint pains. Allergic reactions can occur in persons allergic to ingredients of feverfew and should not be used by women who are pregnant. Feverwort – Officially called Triosteum Perfoliatum, this course, leafy herb of the honeysuckle family is also known as Horse Gentian, Fever-root, Wild Coffee, and Tinker’s Weed. It has been used throughout the years to treat diarrhea, nausea, flu, nervous symptoms, joint stiffness, back pain, itching welts, and pleurisy. The Cherokee also drank a decoction of the herb to cure fever. Boneset is also sometimes called Feverwort.